People in the United States eat more sugar than any other country in the world. (Fortunately, we also have some of the best dentists in the world.) 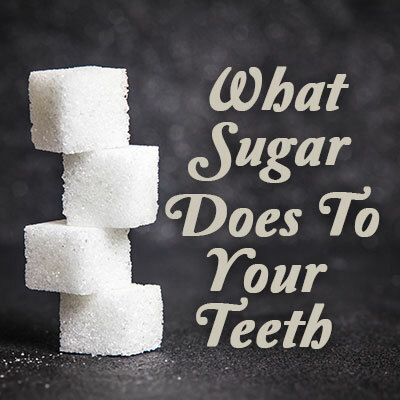 You hear it all the time: “sugar rots your teeth.” But is it true? What exactly does sugar do to your teeth and why is it so bad? You might want to learn more about this substance that is added to nearly every edible item in the grocery store. Dr. Sevey and Dr. Sigwart in Bangor tell us more below. Last but not least, contact Creative Dental Solutions today to make an appointment and be sure to get your teeth professionally cleaned twice a year by our amazing hygienists.